In September and October 2015, TecAlliance brought together many experts “from the industry for the industry” in three events, in order to provide information about the latest developments and to offer them a platform for dialogues with colleagues from the industry. 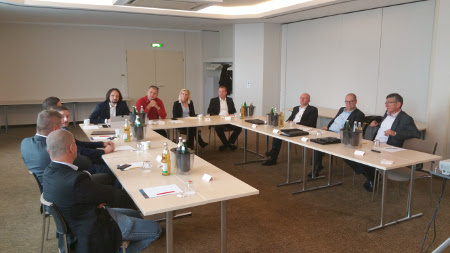 The TecCom SAP User Group met in Frankfurt on 8 October 2015 for the 12th time. This year, the event focused on the innovations of the TecCom core solution TecOrder. Among other things, the new release of TecComfortSupply 5.1 for automated request and order processing and TecRM 2.0 for sending of order confirmations, dispatch notices and signed invoices according to the TecCom Standard. Unified SAP customising and monitoring was explained in several practical presentations and standard modules which facilitate the implementation of the TecCom Standards were introduced. The 13th TecCom SAP User Group will take place on 13 and 14 April 2016. Participants at the TecCom SAP User Group in Frankfurt. 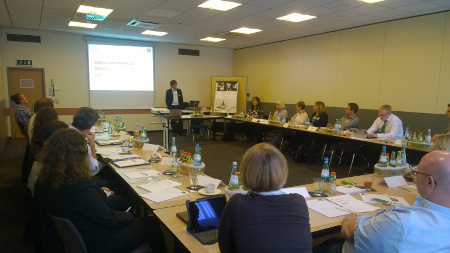 At the TecAlliance Partner Meeting held on 29 September 2015 in Wuerzburg, in addition to the introduction of the new TecAlliance partner program, the future development of the TecCom solution TecOrder as well as innovations of the TecDoc topped the agenda. A special highlight was the guest presentation by the partner company Speed4Trade on the subject: “TecDoc – A partner success story for our customers”. Cooperation with software partners is a key strategy for TecAlliance, which aims at reducing effort and costs in implementation for customers as well as enabling process optimisation. Moreover, this cooperation is an opportunity for TecAlliance to recognise market developments early on and to adapt solutions accordingly. Participants and the TecAlliance Partner Meeting in Wuerzburg. The second meeting of the TecRMI Truck Expert Group took place on 16 September 2015 in Kassel. The participating CV experts received information about market coverage from TecRMI Truck including different types of information such as e.g. service data, work values or repair instructions. In a workshop, requirements and wishes of the participants were collected and prioritised. Finally, there was a presentation about the TecAlliance CV vehicle reference data from the trade’s perspective. All TecAlliance events are announced in time on the website.